This entry was posted on Tuesday, March 6th, 2012 at 9:00 pm	and is filed under Fruit, Pests & Diseases, Summer. Ahh! Finally a solution to treat the ‘brown slimy stuff’ that was eating my prize crop of cherries over the summer! Thank you for a very informative article. This is just an update on the brown rot problem I had on my nectarine last year. Well, I did as suggested by you. That is, I look up the ABC gardening website and made the Bordeaux mixture by mixing copper sulphate and builder lime and spray them thoroughly in autumn. I was supposed to spray them again in late winter, early spring before the buds open but by the time I came back from an overseas holiday, it was too late to carry out a second spray. The fruits are ripening now and they are perfect! 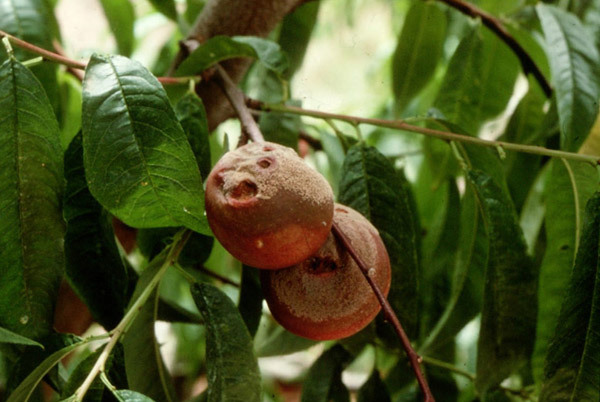 No more brown rot! Just in case, I am going to carry out another spray program this year to make sure I have it under control. By the way, I also sprinkle a handful of Gipson salt around the tree trunk and my sour nectarine is now absolutely sweet!